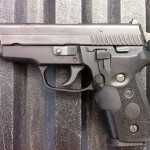 This is a review of the Sig Sauer P229 .40 S&W caliber pistol. 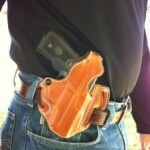 This particular gun is my primary self-defense weapon and mine is an older model that I have owned for many years now. It is the base model DA/SA prior to the accessory rail being added and with the older style grip (which I have replaced with a Crimson Trace laser grip). 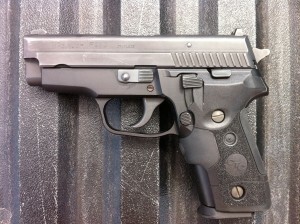 I really like the double-action trigger pull of the Sig Sauer P229. It is smooth, consistent, with a clean break. Very easy to shoot – even weak hand – and the grip angle works for me. In single-action, there is a fair amount of slack in take-up and then it breaks crisply. The Sig Sauer P229 is not a lightweight gun and is considerably heavier than a comparable polymer pistol. However, sometimes you find a piece of machinery that just feels right to you and that is how I feel about this particular Sig. This is not my usual concealed carry weapon in the city. The smaller and lighter weight GLOCK G26 Gen 4 and Beretta PX4 fill that role. 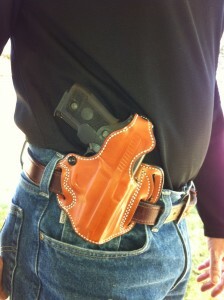 When I do carry the Sig Sauer P229 it is in a DeSantis thumb break holster. The Sig Sauer 229 is what I carry when out at the farm or otherwise traveling around. Controls include include a decocking lever – which you may or may not appreciate. Personally, it is no big deal if a gun doesn’t have a decocking mechanism but if it is there I am sure going to use it. Field stripping the weapon is a breeze (and you don’t have to pull the trigger!). Accuracy is above average. I don’t typically shoot “bullseye accuracy” drills anymore but rather practice acquiring a new target, firing 2-3 rounds, acquire new target, fire 2-3 rounds, and so on. For me, the P229 excels at that because of the way it fits my hand. Note for self: run an accuracy comparison test on five competing models. I’ve always been a fan of Sig Sauer pistols and the P229 has performed flawlessly. Honestly, I don’t recall a single failure. Full disclosure: Due to the cost of .40 ammo compared to 9mm ammo I haven’t run as many rounds through her as some of my other pistols. It has crossed my mind to trade it in on the upgraded version but I generally never sell a gun I love, much less one that fits me well and performs flawlessly. 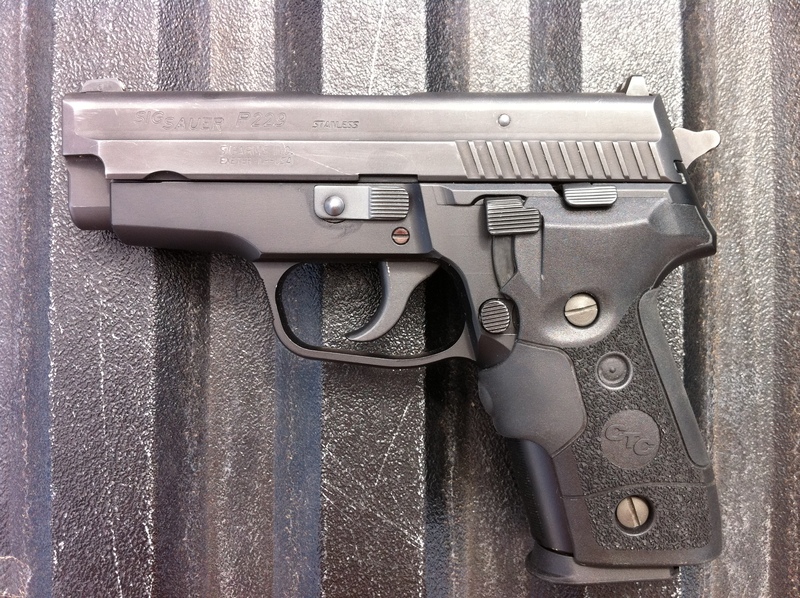 A trip to the Sig shop for their Short Reset Trigger service might be just the ticket.